The Psyche spacecraft and solar panels, which will be built by SSL, are about the size of a singles tennis court. The body of the spacecraft is slightly bigger than a Smart Car and about as tall as a regulation basketball hoop. The spacecraft will include a Gamma Ray and Neutron Spectrometer, a Multispectral Imager, a Magnetometer and an x-band radio telecommunications system. The Psyche mission will also test a sophisticated new laser communication technology, called Deep Space Optical Communication, that encodes data in photons to communicate between a probe in deep space and Earth. The Psyche spacecraft (including the solar panels) is about the size of a singles tennis court. The bus or “body” of the spacecraft is slightly bigger than a Smart Car and about as tall as a regulation basketball hoop. 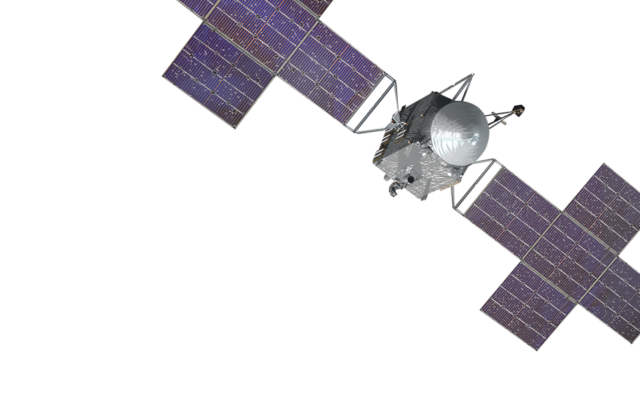 The Psyche spacecraft, comprised of the bus (body), two solar arrays in a cross formation, and the instrument payload, will use solar electric (low-thrust) propulsion to travel to and orbit the asteroid. The spacecraft will be propelled by solar electric propulsion. The spacecraft will include a Gamma Ray and Neutron Spectrometer, a Multispectral Imager, a Magnetometer and an x-band radio telecommunications system. The Psyche mission will also test a sophisticated new laser communication technology, called Deep Space Optical Communication (DSOC), that encodes data in photons to communicate between the spacecraft and Earth.